The classic Tic-Tac-Toe game. Hand made from solid oak. 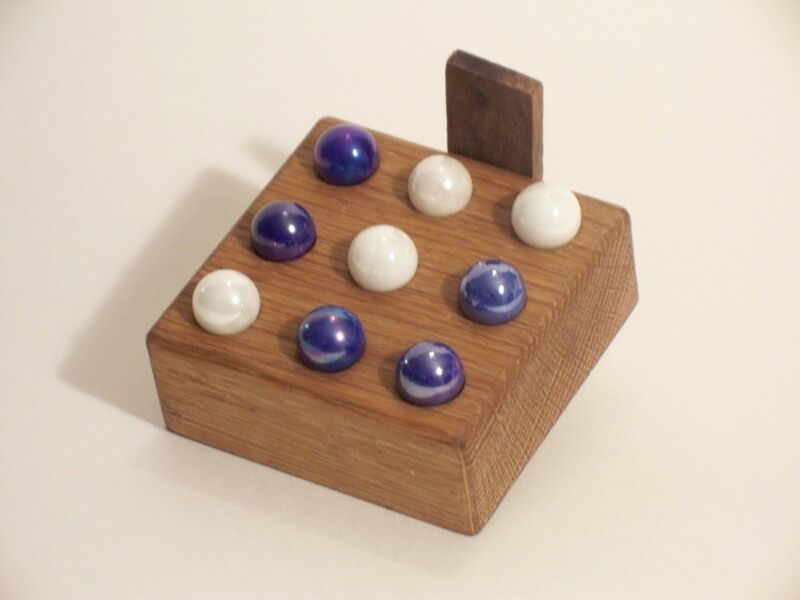 There are 10 marbles that can be stored inside, and can ordered in various color and wood combinations.